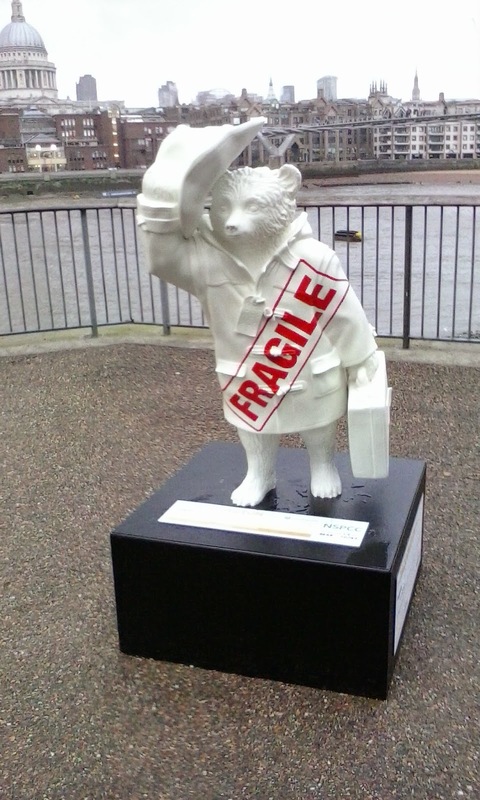 I got up early and asked for directions to Paddington station at the front desk. I knew it was a mistake to ask anything at the front desk, but I also had a map and was pretty sure I could get to my destination regardless of what the front desk people told me. 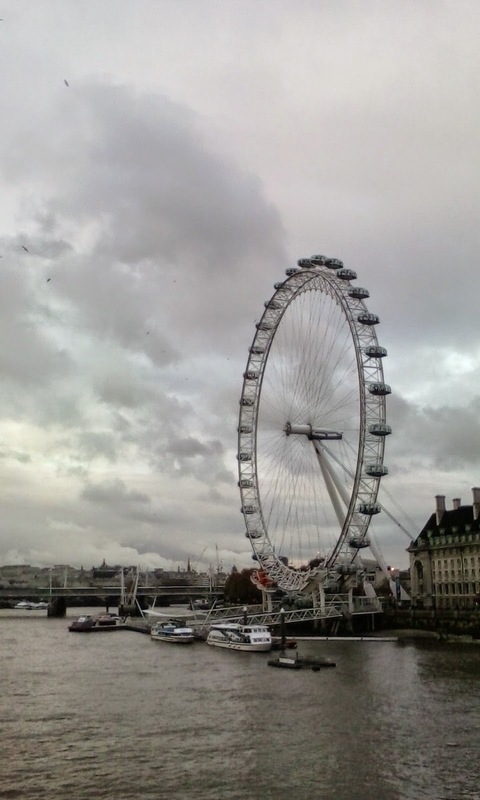 I checked out of the hotel and decided that I would walk to Paddington and not take the closer subway stop to get there. It was really pretty close and it was not a bad walk. I also wasn't alone in making this walk. There were a fair number of other people pushing luggage to the station. The station was huge! Unfortunately, though, you had to walk past where all of the smokers seemed to congregate to actually get inside. I found my platform and the train I needed was about three minutes away from departing. I couldn't find my ticket quickly, but the man working there said he thought he saw it while I was flipping through papers and not to worry that I would have time on the train to find it before they came asking for either a ticket or payment. I got on the train - again having booked first class passage, and found my ticket. The car was nearly empty, despite the small difference in price from coach to first class. The ride wasn't too long and then I was at the airport. Heathrow this time. 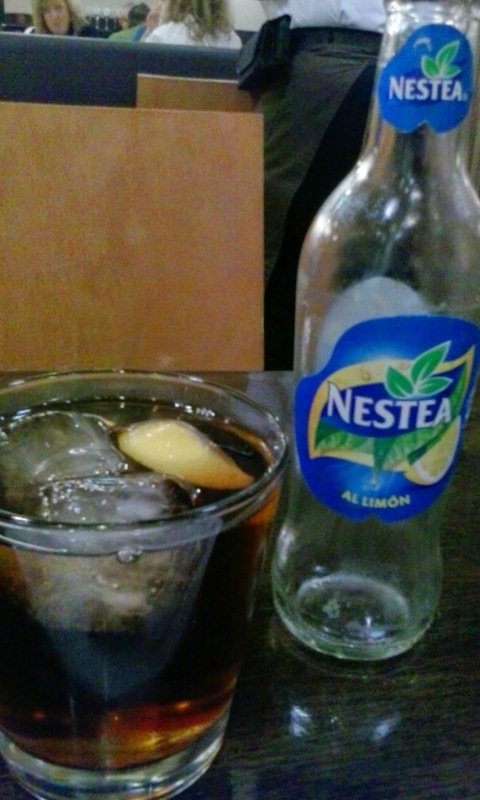 Now, if you have been to an airport in the US you know what a disaster they can be. Heathrow was amazing! All of the waiting areas are together near the shops and you don't head to your gate until just a few minutes before boarding time. And the gates all had lots of room for people to sit - not like some other places. I got on my plane, and this time it wasn't a full flight. The only bad thing was that I didn't want to miss my special vegetarian meals so I didn't relocate. Some people had entire rows to themselves and were able to spread out and sleep for most of the flight. I'm not a good airplane sleeper, so I again spent the whole trip watching films and TV shows. I don't even remember what I watched! When I finally landed at LAX I had to wait over an hour for my car service to decide it was ready to make the drive to Tujunga. They also loaded up with people going downtown. The last stop downtown was for someone who was visiting to do some work with the LA Opera. She didn't know where she was going and despite giving the address to the driver ten times, he kept trying to go to a different address. There had been as mistake in booking and the wrong address was pre-programmed into his GPS or something. It took me about 5 hours from landing to get home. At home, Oskar was the happiest I've ever seen a cat. No cold shoulder for my return. Instead he followed me around as if saying, "Never leave me again!" Cut to weeks later: I hooked up the Spanish cell and downloaded the pictures I took with it, so here are a few odds and ends from the trip. 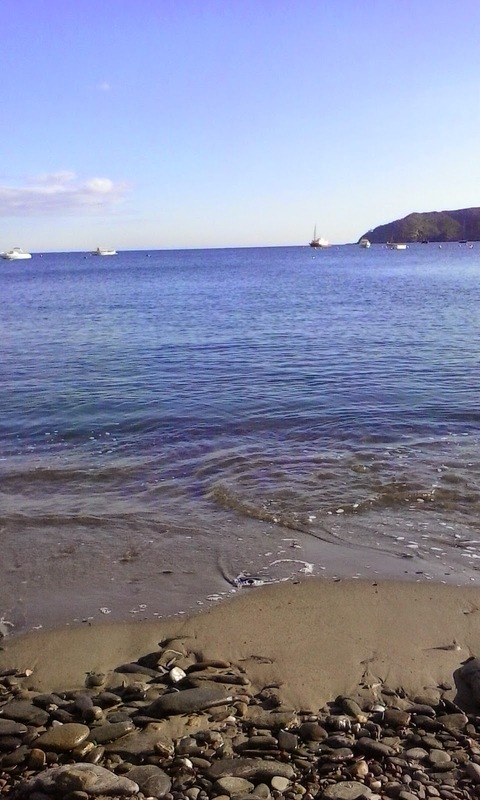 The view from the beach at the Dali house. 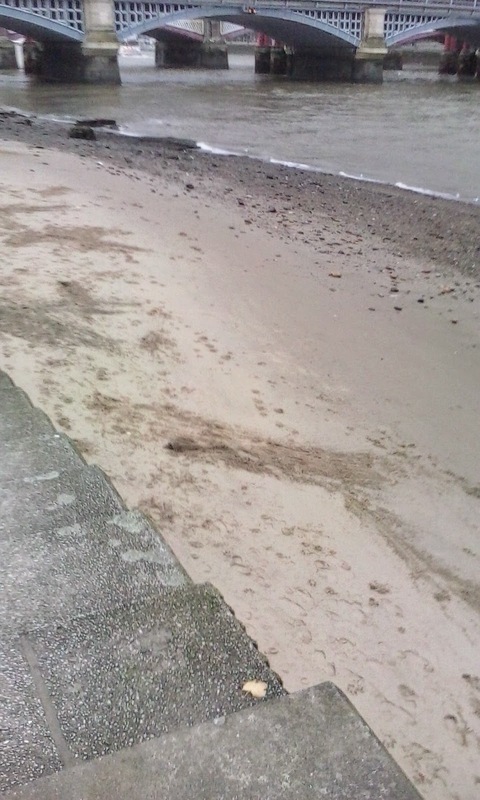 A beach on the Thames - why English people don't sit out a lot. 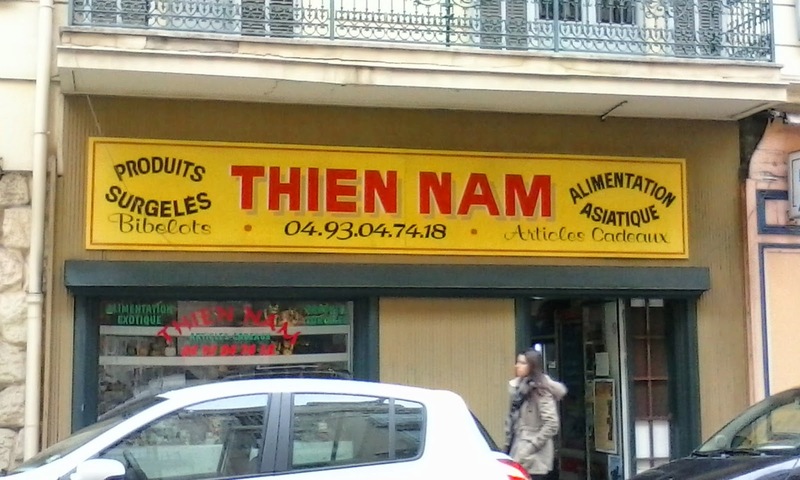 A business in Nice, owned by my family?? 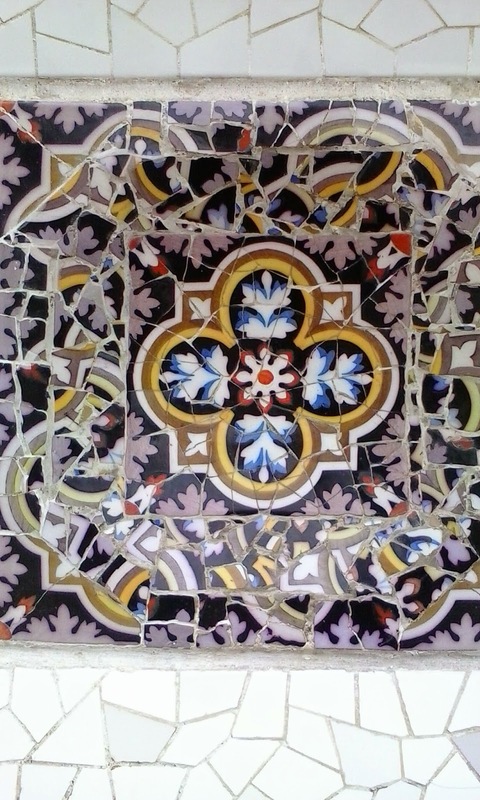 A tile in Parc Guelle. 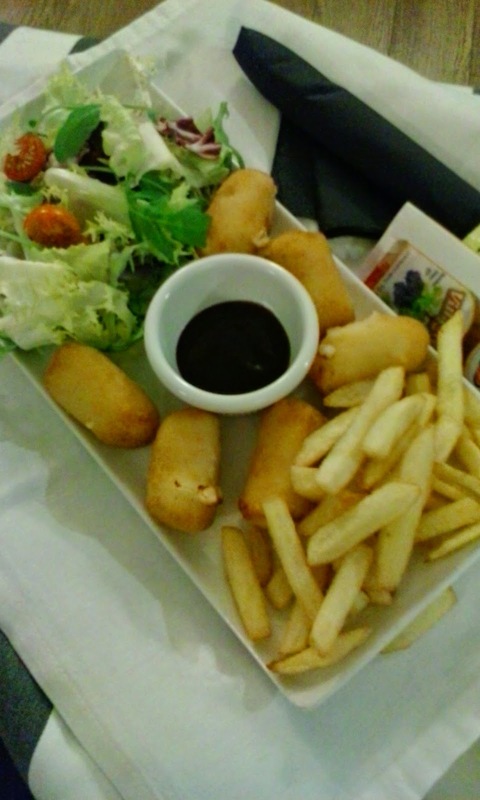 My Spanish room service meal. 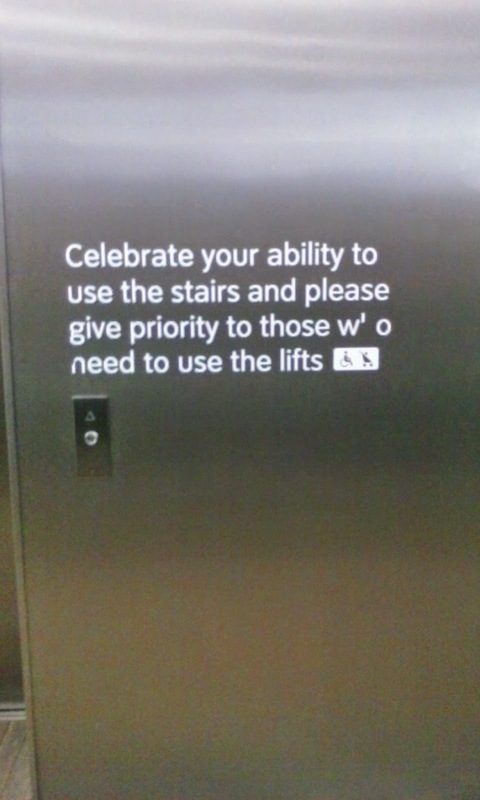 A sign in the Tate near the elevators. 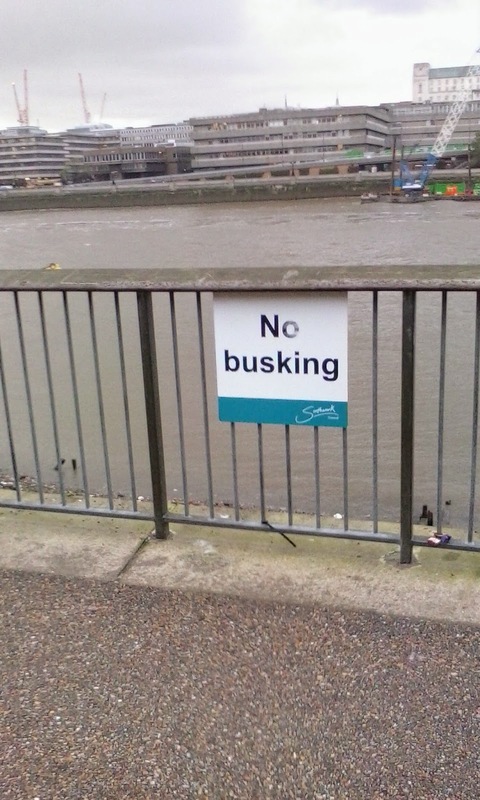 A sign on the river near the Tate Modern, just a few feet from very active buskers. I don’t know when I'll be up for another vacation, but I almost certainly won't make it so jam-packed.